World Wide Rotary Day, launched by our Club in 1997, honors the San Francisco Consular Corps as the special guests of the Rotary Club of San Francisco. Typically, representatives from about 35 countries attend. The event also recognizes the many international service activities of the Rotary Club of San Francisco and the broad global impact of Rotary International. Past World Wide Rotary Day programs have featured several past presidents of Rotary International and as well as a variety of business leaders from the Bay Area. The presence of so many members of the San Francisco Consular Corps and Rotarians makes World Wide Rotary Day a very special occasion. 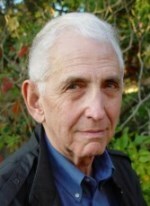 Our speaker this year is Dr. Daniel Ellsberg, who will be talking about The New Global Order and the Role of the Engaged Citizen. Dr. Ellsberg leaked the Pentagon Papers in 1971, significantly strengthening public opposition to the Vietnam War. The Nixon Administration named him “the most dangerous man in America.” He was celebrated in Steven Spielberg’s recent powerful film, The Post. Over the past 40 years, Ellsberg has continued his work as a scholar and an anti-war, anti-nuclear weapons activist. World Wide Rotary Day is one of our most popular luncheon programs. Please be sure to RSVP so we can be sure there are enough seats for everyone who wants to attend. Members are needed to host visiting members of the Consular Corps at the reception and luncheon. For more information about volunteering as a host, contact John Mathers, 415 720-0165.